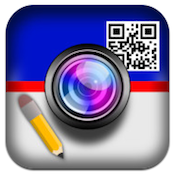 If you’re a visual person, then theMemo TagiPhone app, developed by TopLineSoft Systems, may just be the reminder and notetaking tool that you’ve been looking for. The process is simple. Memo Tag lets you record a voice memo on your iPhone: perhaps its a greeting, or a reminder, or a bit of useful reference info. Next, you link that voice memo with an existing image on your camera roll, or take a new image. 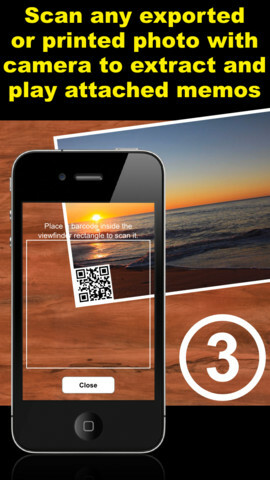 A QR code is then placed in the corner of your image. 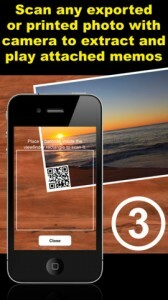 Once you’ve created your unique voice-image mashup, you can print, email or export that photos to Facebook or Flickr. The storage system and controls for Memo Tag are thoughtfully laid out, making it easy to track and retrieve your images. You can either sort the memos by name, or by date. 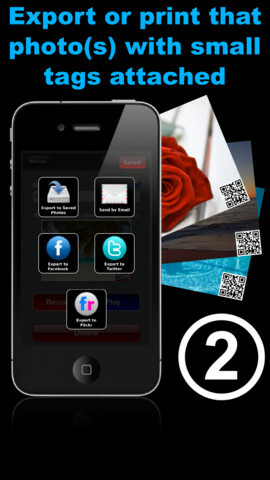 You can also use the Memo Tag app for iPhone to scan an existing Memo Tag image and play the accompanying memo, making this app a handy tool for inter-office communication. It would also be a great app if you had a party to shop for and you wanted to communicate with your shopping partner. While Memo Tag may only be on Version 1.1, this is already a solid app with a solid performance track record. Memo Tag is great, and is pretty much guaranteed to get better over time. 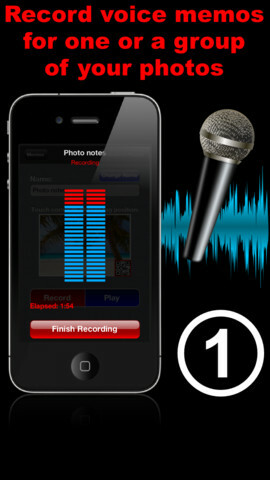 If you’re looking for an iPhone app that will help you to link your voice memos to a visual aid, then the unique features of Memo Tag simply can’t be beat. 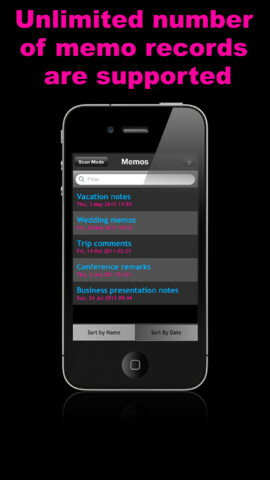 With an unlimited number of memo records supported by the app, Memo Tag is a robust tool to help you stay organized. Memo Tagis compatible with iPhone 3GS, iPhone 4, iPhone 4S, iPhone 5, iPod touch (4th generation), iPod touch (5th generation), iPad 2 Wi-Fi, iPad 2 Wi-Fi + 3G, iPad (3rd generation) and iPad Wi-Fi + 4G. Requires iOS 5.0 or later. This app is optimized for iPhone 5.A small expedite fee was paid by the developer to speed up the publication of this iPhone app review.